Though it's not quite as simple as talking away your risk of developing breast cancer, Andrea Farkas Patenaude of the Dana-Farber Cancer Institute says increasing your "knowledge about the probabilities and options for managing the cancers," as well as working through your anxieties related to potentially developing cancer, could really help. In conducting the study, the investigators questioned the 18- to 24-year-old daughters of mothers who are BRCA1 or BRCA2 mutation carriers, about their attitudes, health behaviors, life plans and how much they knew about hereditary breast or ovarian cancer genetics. 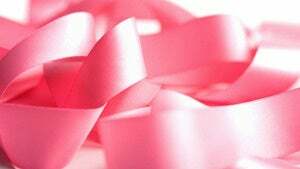 The researchers found that the women surveyed worried a lot about hereditary breast or ovarian cancer. In fact, 40 percent of the daughters revealed they worried a great deal or to an extreme about hereditary cancer. The study also revealed that the women were not well-informed about the genetics of breast or ovarian cancers, compared to those who had genetic counseling. The participants also did not fully understand their cancer screening and risk-reduction options, including when they should begin this screening process. Looks like "being as informed as possible, even if you're scared" beats "pacing around your room in a panicked state because the topic is just too terrifying" yet again.